If the free automatic upgrade to Windows 10 does not work, or if you have problems upgrading from Windows 7, Windows 8.1 to Windows 10. But in most cases, it is so that the installed apps and software, make the free auto upgrade to Windows 10, impossible and this causes error messages. You must then make an upgrade to Windows 10 without the installed software and APPs. 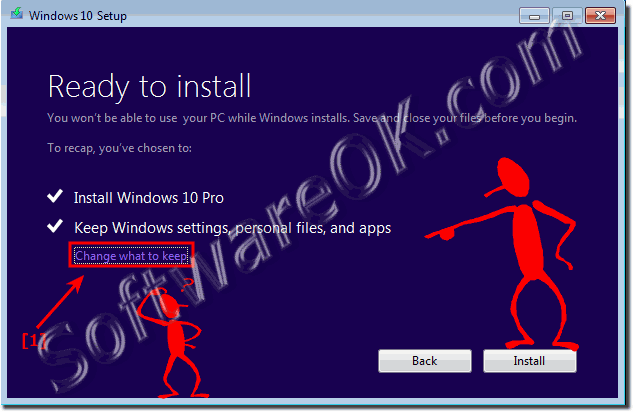 (Image-1) Change what to keep at upgrade to Windows 10! 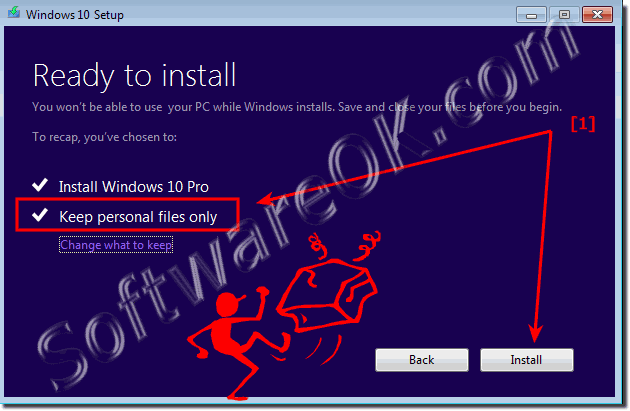 (Image-2) Keep Personal files only when upgrading to Windows 10! (Image-1) Ready to upgrading Windows-7 to Windows-10! Finally, to upgrade to Windows 10! This rather short explanation gives you possible solutions, how you can install the Microsoft Windows 10 operating system, this usually works quite well if not all programs are moved, because there are no differences in the duration of the update, depending on Windows license of the respective system. Is a complete update with all software but something for experienced users! Heres the solution on how to pretty easily disable animations in the Windows 10 taskbar and more options on the taskbar Content / Solution / Tips: 1.